Traditional Lakewood body shapes interpreted in a classic wood selection of spruce and rosewood. The conscious design of our guitars strives at the basic assurance of transparent tone with highest projection. 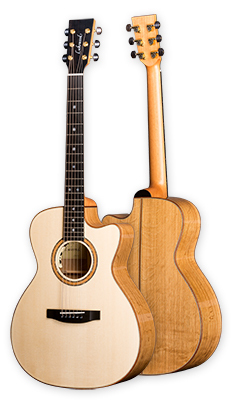 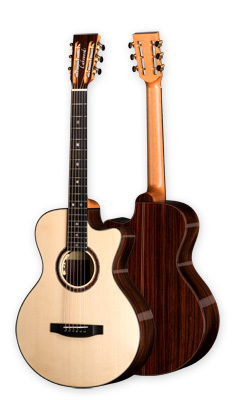 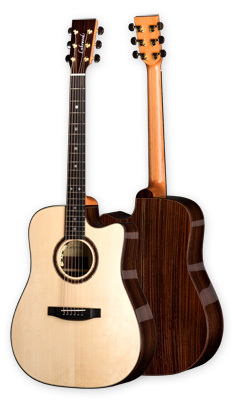 The various construction forms of the instruments within the Deluxe Series shade tone and timbre in sympathy with diverse styles from fingerstyle to Bluegrass. 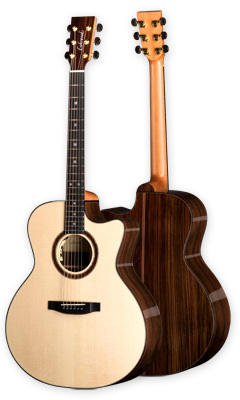 Luxurious finishes appeal to the senses; fine wood inlays, mother of pearl adornments and high-gloss finishes convey the underlying mood of this model range.